This exercise in City-Country cooperation has been a highlight for the schoolchildren of Churchlands Primary School for several years. For the Rotary Club of Subiaco it is a project that has encompassed more than 20 years, hundreds of children from Churchlands and Jolimont and wonderful friendships with people from Quairading and before them, Tambellup. Lots of work goes into planning the tree-planting weekend. Gardening gloves, spades and hole diggers are essential equipment for everyone. Check the weather forecast to see if you'll need your rubber boots and raincoats or just your warm jumpers. At school teachers discuss land clearing, students help work out costs for lunch and snacks, and everyone is eager to signup before the cutoff date. 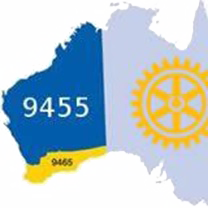 Rotary Subiaco organizes the bus and which club members are going and where they are staying. It's a great weekend for Rotary families to join in, and enjoy a little road trip as well. At home in Quairading preparations are made for the school barbecue and dinner with both Rotary Clubs in the evening. 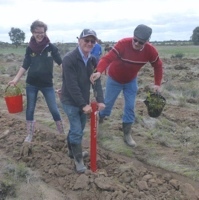 Once tree planting begins it is all hands on deck. Team walk down furrows - some digging holes, some planting and others packing soil around the new trees. Morning tea, talk and laughter then back on the bus and home - exhausted, sometimes wet, sometimes muddy, but always an experience to remember forever.